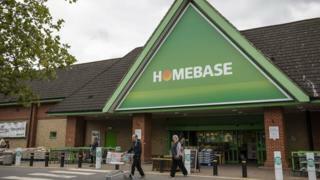 Is your Homebase store closing? This year 16 stores have been shut with another 42 earmarked for closure by early 2019, putting 1,500 jobs at risk. The professional services firm Alvarez & Marsal will carry out the CVA. The rescue deal for Homebase follows a turbulent few years.Australia's Wesfarmers bought the retailer for ?340m in 2016 and rebranded the chain as Bunnings. It made a series of blunders, including underestimating winter demand for items such as heaters and dropping popular kitchen and bathroom ranges, sending sales sliding. Wesfarmers took a ?770m loss after selling Homebase.The new owners of the chain, which has about 250 stores and 11,500 staff, now plans to bring back popular brands and concessions such as Laura Ashley and Habitat.Hilco has revived the fortunes of other retailers and is best known for rescuing music chain HMV from administration in 2013.However, the restructuring specialist also tried to rescue Allders and Allied Carpets, both of which later went into administration.